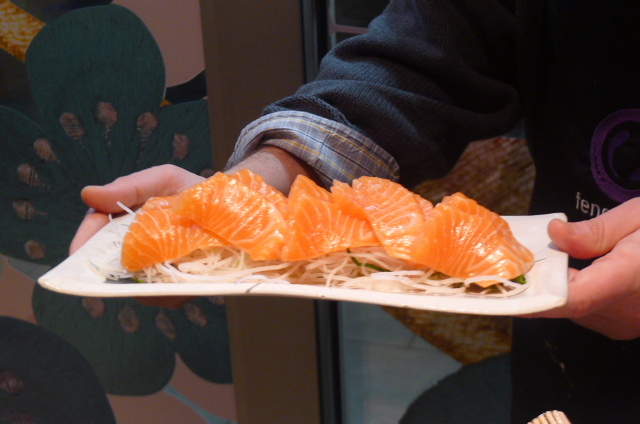 I went to a sushi making masterclass at Feng Sushi a couple of weeks ago. 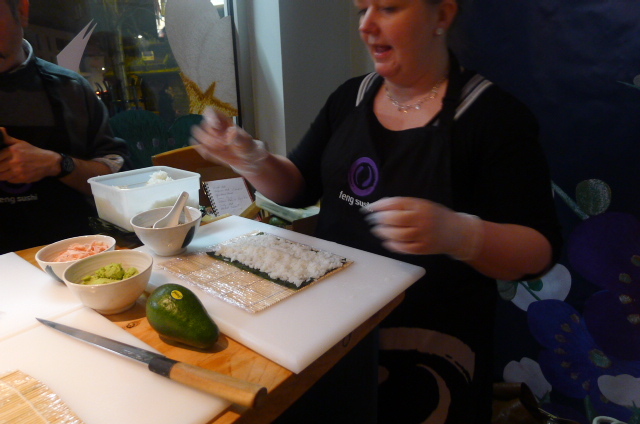 The class was run by Feng Sushi co-founder Silla Bjerrum. Her CV is impressive. She was the first woman to be invited to the prestigious 7 Samurai Sushi Competition in 2008, and she has regularly travelled to Japan to study sushi making. Silla is an advocate of sustainable fishing, and this is evident in the choice of seafood used at Feng sushi: Loch Duart sustainable salmon, line caught mackerel, local crabs and hand dived scallops from The Ethical Shellfish Company. I previously knew little about the sourcing of the ingredients at Feng Sushi, but this session provided me with assurance that Feng Sushi operates on a sustainable and ethical basis. The class provided me with some insights into the art of sushi making. Getting the rice just right is one of the most important aspects of making sushi, and a critical tip I picked up was to wash the sushi rice for ten times to get rid of the starch, and letting it rest for half an hour before cooking. Another good tip I learnt was to cover the bamboo rolling mats with cling film to protect them. 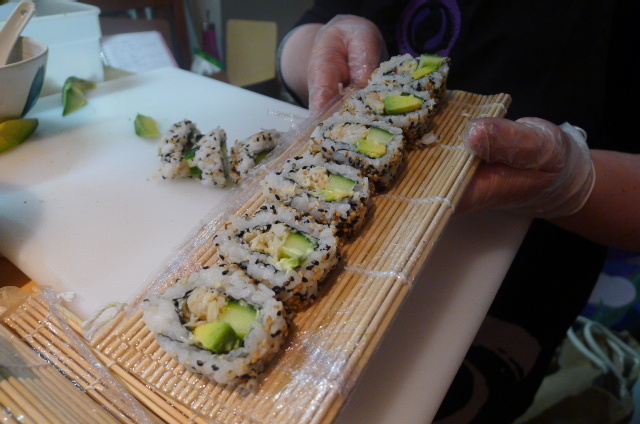 During the class we made cucumber maki, avocado maki with pickled ginger, crab and avocado iso maki, iso maki with hand-dived scallop, prawn tempura hand roll and salmon nigiri. 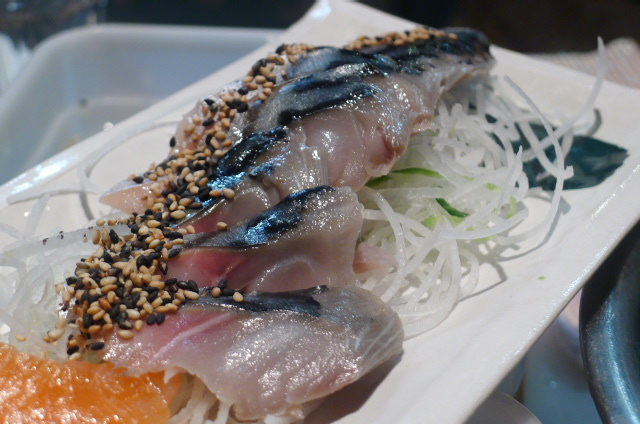 We also watched Silla fillet, marinate and cut mackerel sashimi, and cut salmon sashimi. 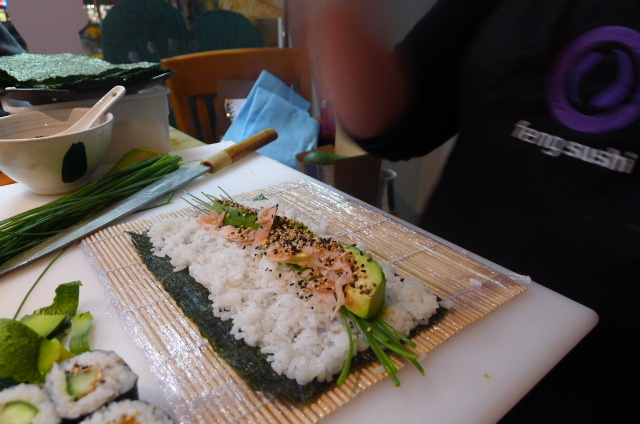 The class was very interesting, although I must confess that my sushi and maki making skills need some work. As they say, practice makes perfect. If you are interested in attending one of Silla’s masterclasses, click on the link here. 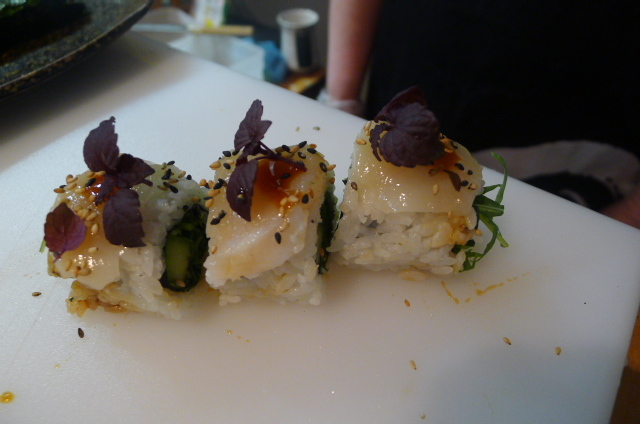 Silla also teaches at Leith’s, Divertimenti and Billingsgate and speaks regularly about sushi and sustainability, (most recently at The Sustainable Seafood Awards 2009 at Billingsgate).